According to University of California at Berkeley, smog is a mixture of gases that produces air pollution. At its worst, it is poisonous to human beings. 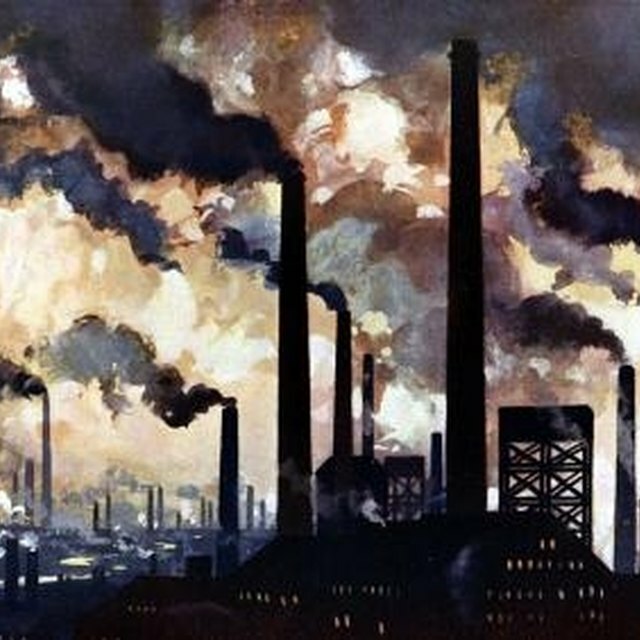 In cities, industrial activities result in industrial smog and vehicular emissions create photochemical smog. This causes health problems in human beings and affects plants adversely. The burning of fossil fuels to generate power (heat or electricity) creates sulfur dioxide. It's yhe main pollutant emitted by these industries and it causes industrial smog. Automobile exhausts, tree burning and agricultural organic wastes lead to emissions of the pollutants such as volatile organic compounds (VOCs) and nitrogen oxides. These pollutants interact with sunlight to form photochemical smog, of which ozone is a main component. Children are at a even higher risk because they breathe more rapidly than adults and therefore take in more of any bad air. Moreover, in summer they tend to spend a lot of time outdoors. According to Australia's Environmental Protection Agency, gases such as nitrogen oxides, ozone and peroxyacetyl nitrate (PAN), which are main components of air pollutants, can have harmful effects on plants. They inhibit the primary process of photosynthesis in plants which can stop or reduce growth in plants. PAN is more toxic to plants than ozone. Smog can have adverse effects on materials as well. Ozone, a main part of photochemical smog, can cause rubber to crack and damage outdoor artworks. It can reduce the tensile strength of textiles and cause dyed fibers to fade. California Air Resources Board: Air Pollution a Problem in California? Sen, Debashree. "Why Is Smog Bad?" Sciencing, https://sciencing.com/about-6602730-smog-bad-.html. 09 January 2018.